Uncover the mystery of the Scottish spies. Make a puppet of a historic Berwick character. 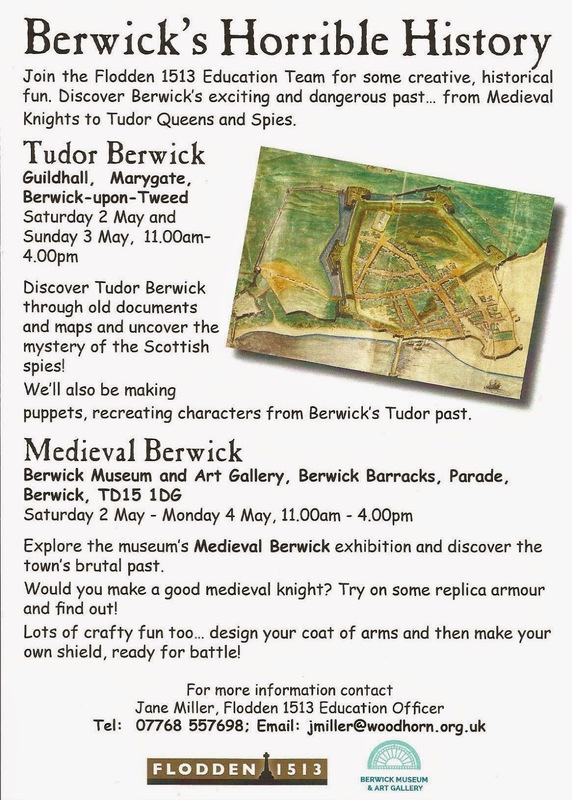 Find out about Tudor (1485 to 1603) Berwick. All this and more (mainly for children) upstairs in Berwick Jail (accessed from Berwick Guildhall). It's part of the popular annual Bygone Borderlands event at Berwick Guildhall and it's this weekend; from 11am to 4pm on Saturday, 2 May and Sunday, 3 May. Would you have liked to have been a medieval knight ? If you dare, boys (and girls), try on the replica armour at Berwick Museum and Art Gallery at the Barracks. See more of Berwick's Horrible History in the exhibition. It's open from 11am to 4pm on Saturday 2 May; Sunday 3 May and Monday 4 May.